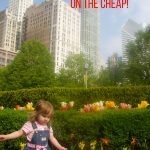 While there are a couple places in Chicago to take in that gorgeous city view, the John Hancock Building (Hancock Observatory) is now called Chicago 360 and offers the 360 Tilt Experience, which is a completely safe thrill of being adjusted to a 30° angle above the city, at 94 stories high! 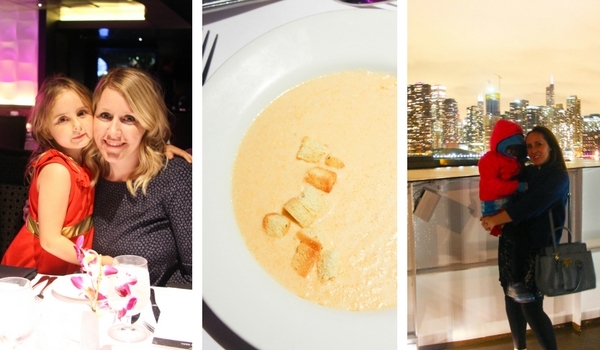 You can also stroll around and take in the view with champagne in hand – or head over to the Signature Room for a variety of appetizers and cocktails (and I hear that the views from the ladies’ room are some of the best in the city). 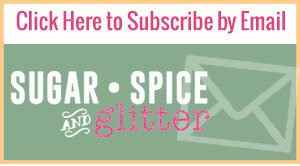 They also have a ChiSeries with bonus activities every day of the week – like yoga, painting, etc. 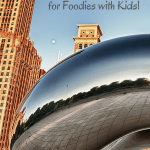 Plus, the location is fabulous – head downstairs for some shopping on Magnificent Mile (Dylan’s Candy company and the Disney Store’s special Chicago offerings are Ella’s favorites) or grab a bite at the Cheesecake Factory or Texas de Brazil! 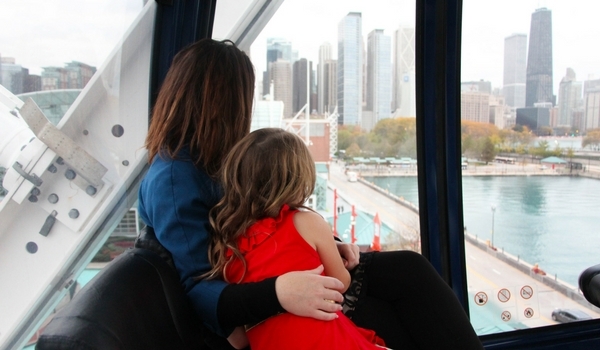 You get a peaceful three cycles in the giant, enclosed ferris wheel, complete with gorgeous views of the city and air conditioning! 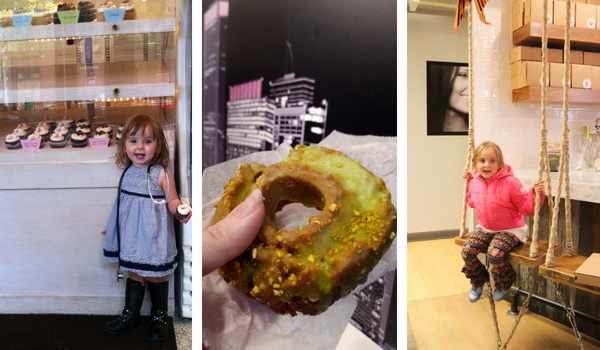 Chicago has a bit of a reputation for having amazing cupcakes and donuts. 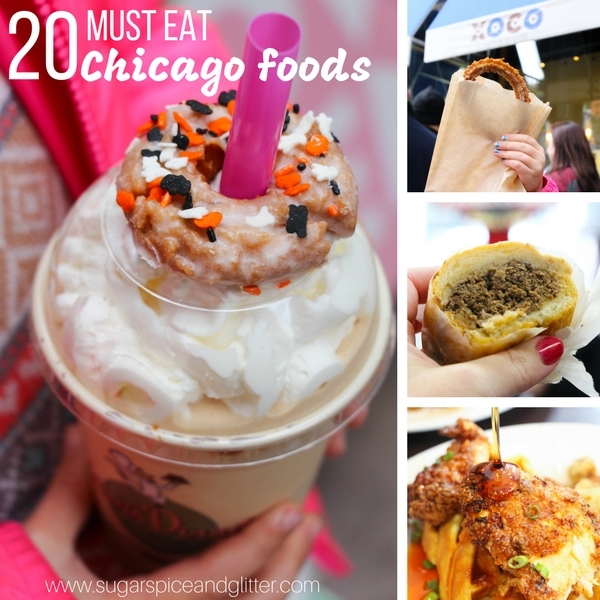 My daughter’s favorite donut place is Stan’s Donuts and she always manages to convince me that she needs the Biscoff Gelato Shake (basically a cookie butter milkshake) – our favorites there are the Apple Fritter and Pistachio Old-Fashioned, along with anything with Biscoff! We have a few favorite cupcake spots but Molly’s Cupcakes and Swirlz are unique to Chicago and both promise amazing cupcakes. 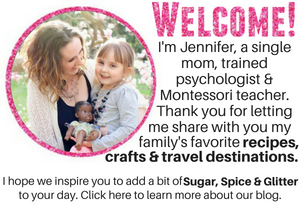 Pam, the owner at Swirlz, is a cake genius and Molly’s has a cool set-up with swings you can eat your cupcakes on at the store. There are so many amazing art installations at Millennium Park, but the most iconic is definitely Cloud Gate, aka the Bean. Make some time to stroll around and explore the park, maybe making your way down to Buckingham Fountain, as well. 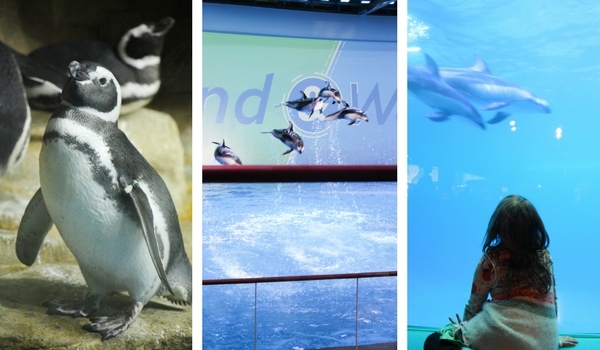 Whales, dolphins, penguins and more are on full display at the amazing Shedd Aquarium. 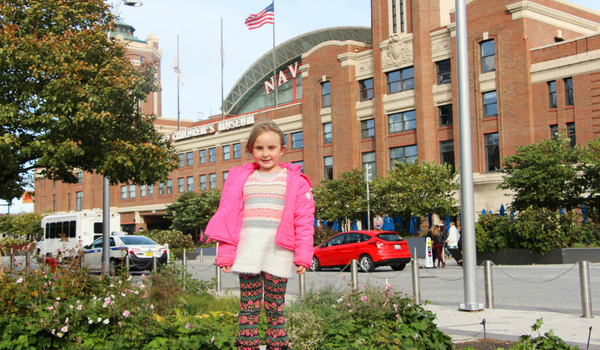 Museum Campus also boasts the Field Museum and Adler Planetarium – Ella is still a bit too nervous at Adler and wants to leave quickly (some of the attractions are quite dark) but we can spend a whole day at Field and Shedd. The Field Museum of Natural History has amazing immersive history exhibits that are just as engaging for kids as they are informative for adults. It was the museum that first peaked my daughter’s love of science with their amazing dinosaur exhibits. 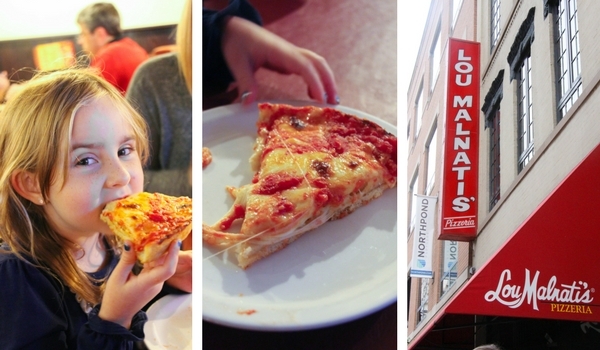 Deep dish pizza is a way of life in Chicago, so be sure to hit up Lou Malgnetti’s (our personal favorite) or for a pizza pot pie, you can’t go wrong with Chicago’s Pizza and Oven Grinder (which is located super close to Swirlz Cupcakes). Chicago dogs are also a must-do. Check out our version of the pizza pot pie recipe here. 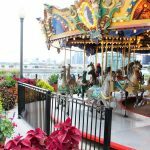 Whether you opt for a Riverboat Cruise or hit Lake Michigan in style for a dinner cruise or pirate adventure, there are so many fun ways to take to sea and soak up all those gorgeous Chicago views. We’ve done Tall Ship Windy (pirate experience), Riverboat Architectural Cruise, and an Odyssey Champagne Cruise (which included a gourmet dinner and dancing) – and we enjoyed them all! Just pick based on the experience you want. The Pirate Cruise is great for pirate-obsessed kids and does give a good Chicago history lesson, while the Riverboat tour is scenic and educational, but perfect for a low-key afternoon activity (especially if you have little people who need to nap), while the Champagne Cruise was a fancy late-night activity that we got dressed up and danced (and ate) all night at. Even if your kids couldn’t care less about science class, this museum has something for everyone! 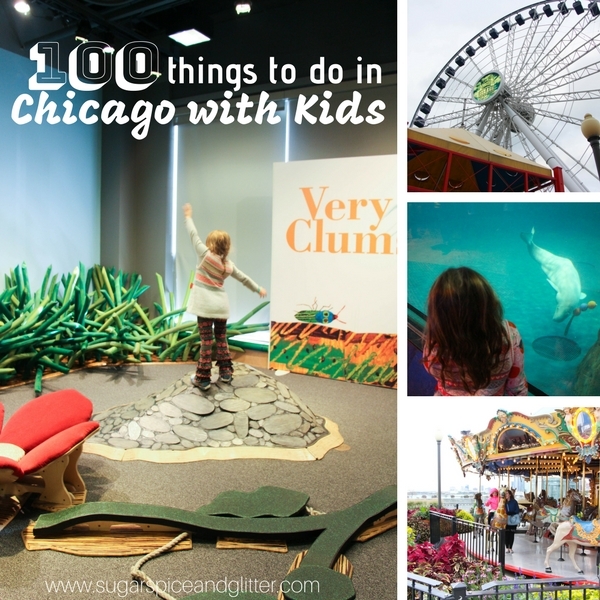 You honestly could spend an entire day here and not see everything, so just let the kids explore the rooms that they are actually interested in. Ella loved the real steam engine and the music room and there was a string orchestra playing in the lobby on the day that we visited! It’s a bit out of the way in the South Side of Chicago, so I suggest grabbing a cab or a Lyft. 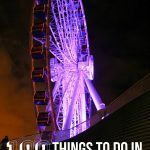 I hope this list helps you prioritize your Chicago travel plans – these are our family’s favorite things to do in Chicago and you are guaranteed an awesome trip if you incorporate even just a few of them into your visit! 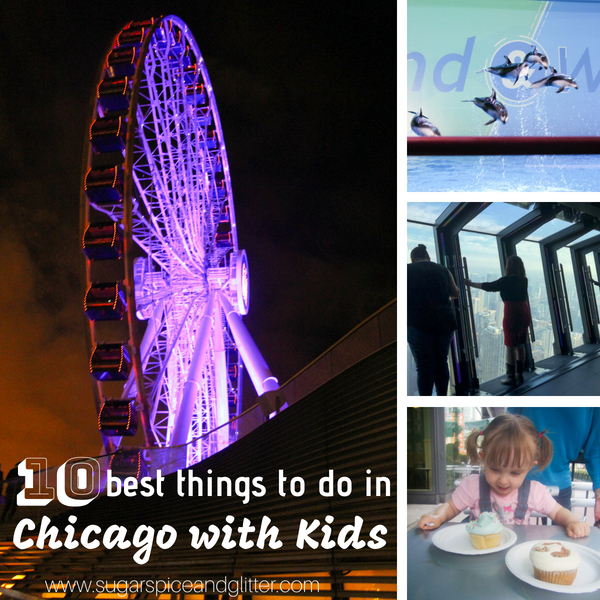 For more help planning your Chicago vacation, check out our 100 Things to Do in Chicago with Kids or our 20 Must Eat Chicago Foods.